Here’s a recipe that will surprise you! If most people had to name their favorite vegetable, they probably wouldn’t name beets. Before you dismiss beets, keep in mind this superfood is rich in antioxidants and can lower your blood pressure. And did you know a lot of athletes make beet juice a part of their daily diet? Endurance athletes believe the nitrates in beets helps to improve blood flow to the muscles during competition and workouts. But you don’t have to be an athlete or drink beet juice to enjoy this vegetable. We think this Chocolate Beet Cake recipe is a perfect way to enjoy both beets and chocolate! Who can resist a cake that’s tasty AND healthy?! Try this beet recipe and tell us what you think. Then try growing beets in your garden! 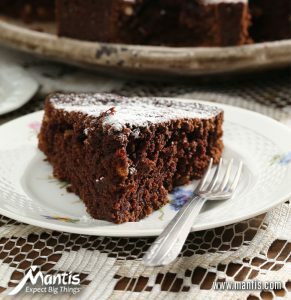 Chocolate Beet Cake – a tasty treat! Mix together these ingredients: flour, baking soda, cinnamon and salt; set aside. Melt the chocolate in a heatproof bowl on top of a small pan of simmering water, over medium heat and stir occasionally until chocolate is melted. (Do not place bowl directly in water.) Bowl will be hot; use potholders. Combine eggs, sugar, and oil in the a mixing bowl. Mix for two minutes for a smooth consistency. Slowly add in the chocolate, vanilla, and beets. Beating well after each addition. Add and whisk remaining ingredients into the mixture. Sprinkle with confectioners’ sugar after cake has fully cooled.